Did you know Bob Marley died from acral lentiginous melanoma, a rare form of melanoma that impacts individuals with darker skin? Anyone of any age or skin color can develop melanoma. This is why it’s critical to note any changes in your skin. If a mole is new, changing, frequently bleeds, doesn’t heal or seems different, GET YOUR SKIN CHECKED! !‪ ‬‪www.melanomaknowmore.com/screening. Melanoma is the second most common form of cancer in females age 15-29 and is increasing faster in females age 15-29 than in males of the same age group. 1. There are nearly 22,000 tanning salons across the United States, serving about 28 million customers. 2. Out of the 28 million people who tan indoors, 2.3 million are teens. 3. 70% of people who go to tanning salons are white females between 16 to 29 years old. 4. The U.S. Department of Health and Human Services and the World Health Organization’s International Agency of Research on Cancer panel stated that ultraviolet radiation from the sun and artificial sources from tanning beds are known to be cancer-causing. 5. Melanoma rates have increased in the last three decades. 6. About 76,000 U.S. adults will be diagnosed with the cancer-type this year. About 9,200 are expected to die from the disease. 7. The risk of melanoma is 75% higher for people who start tanning indoors before the age of 30. 8. Indoor tanning can lead to skin aging, immune suppression and eye damage. 9. Only one-third of people use sunscreen while tanning. 10. 58% of adolescent tanning bed users have burns due to constant exposure. 11. Only 36 states restrict indoor tanning by minors. SAY NO TO TANNING AND SIGN MELANOMA KNOW MORE'S NO TANNING PROMISE BY VISITING: http://melanomaknowmore.com/notanning. Melanoma fact: Melanoma accounts for less than one percent of skin cancer cases, but the vast majority of skin cancer deaths. DID YOU KNOW? Over 3 million people across North America are diagnosed with skin cancer every year, and it is anticipated that melanoma will kill more than 10,000 people in 2016. Checking your skin on a regular basis for moles and spots that are new or changing is critical. Visit https://www.aad.org/…/spot-s…/learn-about-skin-cancer/detect to learn how you can spot skin cancer! DID YOU KNOW? Thirty percent of all melanoma in men arises on the back—it is important to ask your doctor to examine your skin carefully for atypical moles. 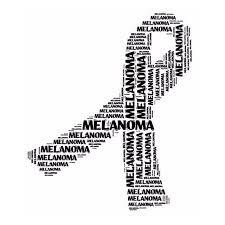 To learn more about Melanoma and the prevention of this cancer, visit http://melanomaknowmore.com/prevention/.